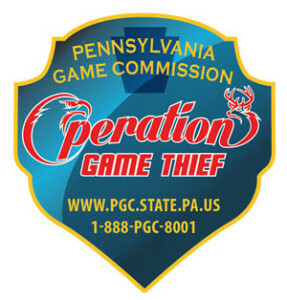 This book includes a section for parents about what to do if a white-tailed deer fawn is found. Each year, countless fawns are “rescued” by well-meaning people who believe the fawn is abandoned or orphaned. Such rescues often end terribly for the baby animal. This book introduces children to the concept of leaving wild babies alone, but with the understanding that some baby animals truly are in trouble. 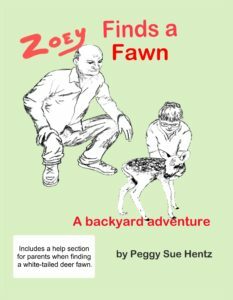 “Zoey Finds a Fawn” will help children and adults learn what to do when faced with this very common backyard situation. 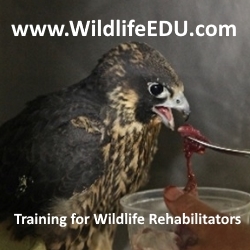 Story and illustrations by a veteran wildlife rehabilitator, Peggy Hentz as the second in the adventure in learning to live with wildlife series. Written in poetry style, Zoey Finds Fawn is both educational and entertaining, and has a wonderful surprise ending. “Hi there, little baby deer. Are you lost, or are you hurt?